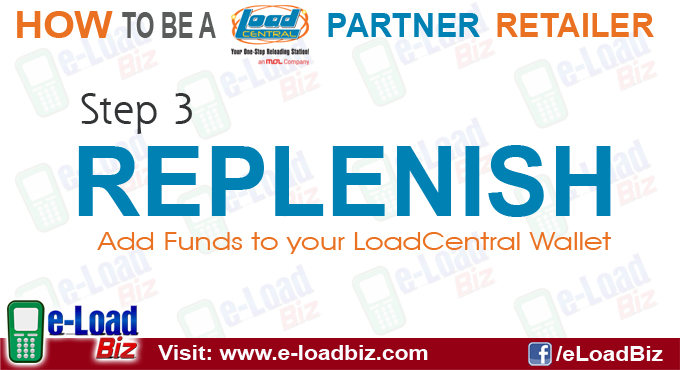 Before you can start selling e-PIN/Load products, you need to buy LoadCentral loadwallet credits first. You have two (2) options in reloading your loadcentral loadwallet. 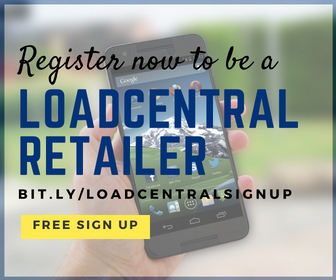 All LoadCentral retailers can replenish their loadwallet directly from LoadCentral Office (highly recommended). 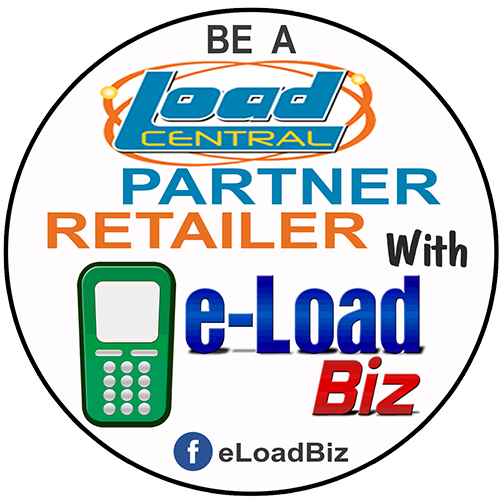 However, only retailers who registered under e-LoadBiz can replenish their loadwallet from e-LoadBiz (Subdealer). Php1.00 = 1 LoadCentral loadwallet credit. NOTE: This option is available EXCLUSIVELY for retailers under e-LoadBiz only. NOTE TO ALL MY RETAILERS: Minimum order of load credits is 100 pesos only. hello po! pwede po ba magpa replenish ng load wallet through you kahit hindi po kayo ang dealer ko? wala po kasi akong assistance galing sa dealer ko. ah ok.1000 po ba talaga minimum amount pag nagpa replenish ako directly from loadcentral? akala ko po kasi 100 lang yung minimum. 1000 po if from loadcentral. pag s akin po, 100 ang minimum. Hi! how can I become a dealer? thanks. pano po ba maging sub dealer dito sa bohol? hi, nag register na po ako. at nagsend ng passport copy. ilang days po bago mareciv ang username at password sa web tool.? at kelan po ako mag sstart mag replinish ng e-wallet ko? @jay - naactivate n po number nyo. ano po ba bank account details ng hannah88 sa bdo? at ano po ba process pagkatapos ko mag deposit sa bank account mo? please provide me guide, bago pa lang ako at hindi ko alam paano mag replenish ng load wallet. i recvd a txt msg...that iam a retailer under leah c. caido...and with it my initial password... and is advising me to how to change my password...i-send daw sa loadcentral access number...which i dont know kung anu ang access number...and where can i or how can i have a webtool username and passsword...? im kinda lost!!! kulang mga instructions...who can help me? hi nakapagregster na po ako and nakapagemail na po ko valid i.d ppassport po wala pa po akong text notification when po ko makakatangap ty. nag pa register po ako,tapos na ako nagbayad ng registration pay. anu po ba yung subdealer? subdealer na ako txt me here 09208200218,if nag pa load na ba ako minimum po ba ay 5k d ba pwdeng 1k? ?all in one na ba yung all network pwde kung loadan? @queenchorbit - Direct po b kau nagpaloadwallet s LoadCentral? Send n lng po ulit kau ng notification.. 9:00am - 4:30pm.